Hello Linux Geeksters. As you may know, SLPhone is an open-source, KDE telephony client with support for multiple calls, multiple conferences, multiple accounts, text messages, background mode, record and playback, filter and search options and Akonadi integration, among others. 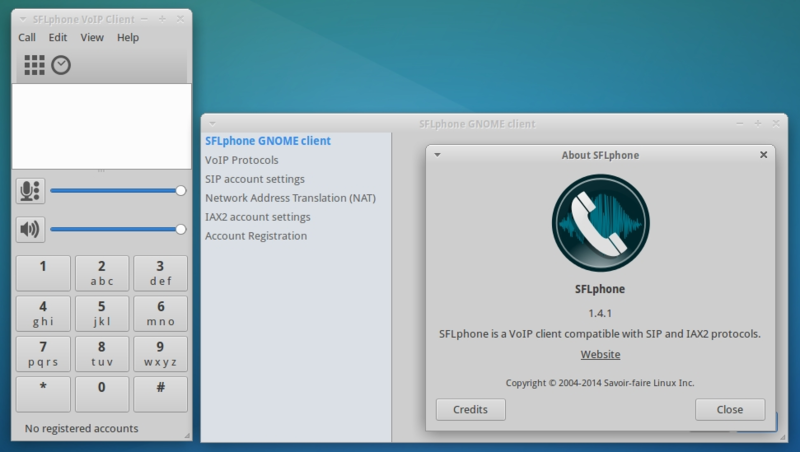 In this article I will show you how to install SFLPhone 1.4.1 on Ubuntu 14.10 Utopic Unicorn, Ubuntu 14.04 Trusty Tahr, Linux Mint 17.1 Rebecca, Linux Mint 17 Qiana, Elementary OS 0.3 Freya, Deepin 2014, Peppermint Five, LXLE 14.04, Linux Lite 2.0, Pinguy OS 14.04, OpenSUSE 13.2, OpenSUSE 13.1, Fedora 20 and derivative systems. Because it is available via repository, installing SLPhone 1.4.1 on Linux systems is easy. All you have to do is add the repository to your system, update the local repository index and install the needed package.